In this week’s History of Magic, we focus the spotlight on Fred Kaps. Kaps was born Abraham Pieter Adrianus Bongers in Rotterdam, Holland on June 8th 1926. He was known colloquially as Bram Bongers. He collected coupons from oatmeal boxes to purchase a box of magic tricks when he was 9 years old. The local hairdresser Piet Verschagen was an amateur magician who often did magic for his clients and was noted for his vanishing matches trick, which Bram learnt from him. Young Bram would rush home after his haircuts to practice everything he was taught. Fred Kaps went on to win three FISM (Fédération Internationale des Sociétés Magiques ) Grand Prix’s, and he was the first magician ever to do so. FISM hosts the World Congress of Magic every four years since its inception in 1948. It is the world’s premier magicians’ conclave and top-level competition. The young Bram Bongers was known to perform for classmates during high school, which was probably done at the wrong time because there are records of the teacher taking his tricks away from him. His father did the same, trying to discourage him from performing magic and stating there was no financial future for those who played with such trivial activities. His fascination with magic continued, as did his attraction to his hair dresser’s daughter Nel whom he eventually married. Bram Bongers took the name Valdini, then later changed it to Mysteria. He began to perform at weddings and parties, concentrating on close-up sleight-of-hand magic. He also performed for Dutch soldiers and upon joining the army, he was allocated to the entertainment group and travelled to Indonesia where he continued to perform in military cabaret shows. He became an avid fan of performers such as Channing Pollock, Italian magician Chefalo, and German illusionist Kalanag with whom he worked for a short time. Kalanag wanted Kaps to carry on with the Kalanag show but he much preferred smaller props to Kalanag’s large illusions, trunks, and boxes. He much favoured dice, cards, billiard balls, coins, and cigarettes. In August 1946, Bram Bongers entered his first National Dutch Convention held in the large Kransnapolski Hotel Amsterdam with a Poker Hand Deal act. There were top performers and delegates from Holland, Spain, France, Belgium, Scotland, and England. While Bram Bongers performed well as Mystica, he was not awarded a prize but a noted newspaper reporter wrote that Mystica had neatly performed his Poker Deal act. It was technically outstanding and he made excellent use of mime and his acting ability. The newsman claimed that his was the best performance of the convention and he truly foresaw a great magical career ahead for Bram. Shortly after this event, Bram met up with a magic studio owner, Henk Vermeijden, who was a highly acclaimed magic teacher and mentor to many world champion magicians. Bram became his protégé and before long, Vermeijden became his agent, manager, and coach. Vermeijden was also instrumental in getting his protégé to change his name to Fred Kaps. Vermeijden was known as a hard task master but his teaching methods were the best in the business. Kaps developed a continuous production of canes act under the tutelage of his teacher. He attended the national convention in Arnhem. Although he was a big hit, he did not become a prize winner. However the judges recorded that his act was technically polished and very professional and that he had exceptional skill at facial mannerisms. So it was back to practice and rehearsal and a slight modification to his cane act. In 1950, he attended the FISM championships in Barcelona, Spain. Before a crowd of 2000 international delegates, he was awarded the Grand Prix, the most prestigious prize a magician can win. This was to be the first recognition that he was indeed a very special, highly skilled performer the world would soon acclaim. His award led to a two-week contract with the prestigious El Cortijo Nightclub in Barcelona. 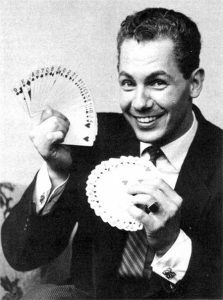 In 1955, Fred Kaps entered the World Congress of Magic (FISM) competition in Amsterdam but he nearly did not compete. His friends suggested that other performers had better acts and that he should stand down. However at his wife’s insistence, he participated with an act that although began with his traditional canes soon developed into an act his friends had never seen before as he produced a rabbit from the cane. His act continued with silk manipulation and one-handed colour changes and canary from a microphone. 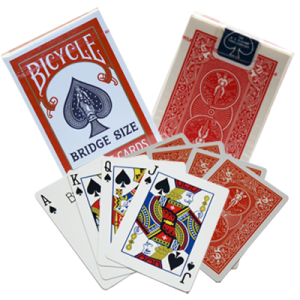 He interspersed his act with card flourishes and manipulations. He finished with the cards ribbon spread along his arm, where he flipped them over and caught them in the same hand before they hit the floor. He always performed with great joy and he worked so hard that perspiration beaded his forehead, about which he commented, “This is a lovely building, but I think the roof’s leaking.” His finale was his version of the Roy Benson Long Salt Pour. This brilliant performance earned him again the Grand Prix. His second success at FISM led to numerous television appearances, guest performance at many international conventions, and night club engagements. He was always the immaculately attired performer in tails and white shirt, and he struck a debonair, handsome appearance on stage. He made his USA TV debut on the Ed Sullivan Show with the Four Fays Comedy Acrobatic Team and the famous Beatles from England. That night, 73 million television viewers saw the show. He also performed for Prince Rainer and Grace Kelly of Monaco. After he appeared on Michael Parkinson’s television talk show in England, he met with Ken Brooke who he authorised to market some of the many effects that he had created. Notable were his version of the colour changing silks, his Long Salt Pour, and numerous others. One of his most delightful creations was his Dancing and Floating Cork. Producing a small cuff link-style wooden box, he showed a wine cork that moved inside the box. The cork would float from the box and around the performer’s hands. Finally a small metal ring was passed over and around the floating cork to show there were no visible attachments of any sort. Ken Brooke was authorised to sell the Floating Cork only to those magicians who agreed to sign a special agreement of non-disclosure to fellow magicians. At each presentation, the cork was left with the spectator participant as a memento. Kaps’s final FISM performance was in Liege, Brussels in September 1961 where he again presented what was thought to be his traditional act that soon developed into many surprises. The cane vanishing in a newspaper became a lighted candle, and instead of manipulating cards, he did it with banknotes. Opening a champagne bottle, he began to manipulate the bubbles. Once again he finished with his Long Salt Pour that just kept pouring and pouring over the stage. With a dismayed look, he gestured to the band leader for more music and he continued as the strains of Sousa’s “Stars and Stripes Forever” rang out while the salt streamed forth. Shortly after winning the Grand Prix for the third time, Fred Kaps was sadly diagnosed with cancer. Before he passed away on July 22nd 1980, he was awarded a Master Fellowship in Magic by the Hollywood Association of Magic Arts. At the same time, he was inducted into the Society of American Magicians Hall of Fame. Fred Kaps was a perfectionist in every way who practised long and hard before he ever presented anything in his act, and he certainly deserves a spot in the history of magic. You have misspelled David J O’Conner’s name in the introduction. David O’Connor is a magician in Sheffield. I confirmed with him that he did not write the history of Kaps, which I enjoyed reading.